Starbucks has today unveiled a new free Wi-Fi services they have rolled out to 650 of their UK stores allowing Starbucks customers to now enjoy free Wi-Fi access without the need for a registered Starbucks Card to log or the need to be members of the Starbucks Rewards programme to access the free Wi-Fi. The new service now allows you to simply click ‘Connect’ and enjoy one-click, high speed Wi-Fi access. Each Wi-Fi session lasts for 2 hours but you can have an unlimited number of sessions every day – just reconnect after 2 hours. To use follow these simply instructions provided by Starbucks: Simply enable your laptop, tablet or mobile device in Starbucks stores where you see Free Wi-Fi signs – Once you’re connected, open your web browser and go to www.btopenzone.com. 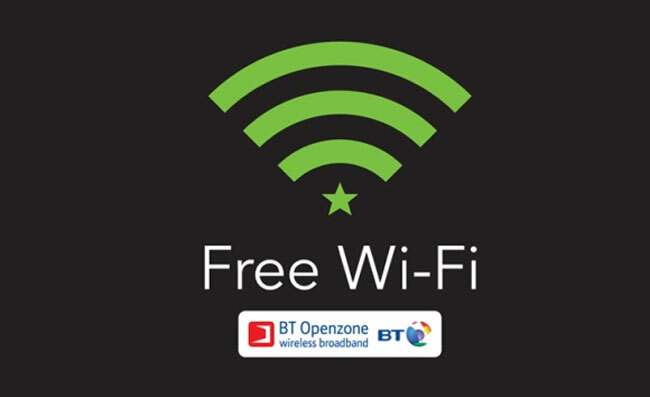 – Then click on the ‘Connect’ button and you will be instantly connected to free Wi-Fi! ** The WiFi’s unsecured though, so remember to log in to websites using an HTTPS connection if you can to avoid people snooping on your data.